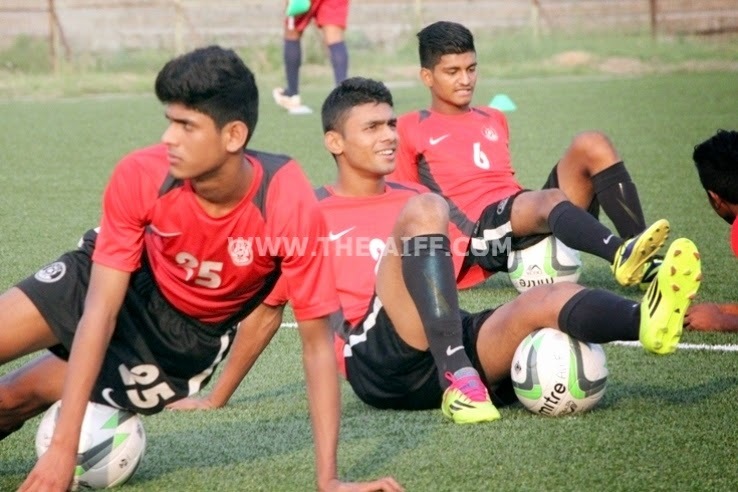 Coaches training the FIFA U-17 World Cup bound U-14 Academy Boys are about to get the low-down on the best practices preached in Europe during a two-day FIFA Academy Workshop scheduled to take place in Goa from October 10 – 12, 2014. Coaching staff of not only the two U-14 Regional Academies in Goa but also the other AIFF Academies and private Academy Coaches will be attending the Workshop aimed at enlightening the Youth Teachers on the best way of running an Academy. Irishman Desi Curry, a former Technical Director of Irish FA who was also the Manager of Northern Ireland U-16 Team, will be the Instructor from FIFA for the Workshop which is a first of its kind initiative by the All India Football Federation (AIFF) in association with FIFA. “I am confident that this Workshop will further enlighten our Coaches to embrace the modern methods for the betterment of Indian Football. I am thankful to FIFA for providing us this unique opportunity,” Kushal Das, General Secretary, AIFF said. “It was in December last year when we planned to have an Academy Workshop,” AIFF Technical Director Academies and Director Coach Education Scott O’Donell informed www.the-aiff.com. “Jürg Nepfer (Technical Development Department of the Member Associations & Development Division, FIFA) and David Borja (FIFA Development Manager for Asia) proposed the idea of having such a Workshop for the betterment of our Academies. Having such a Course with an Instructor from Europe providing a different perspective will be very fruitful for our Coaches, especially with the U-17 World Cup coming up in 2017,” O’Donell added. Besides gaining knowledge on what the Academies in Europe are doing, O’Donell feels the fact that all the Coaches will be under one roof is great as they can “learn from each other” in the process. Topics such as role of modern day Academy Coach, Academy philosophies, visions, Academy Curriculum would be covered during the two-day Workshop.